1. Can I transfer my number to Q Link Wireless? 2. Can I bring my own phone to Q Link Wireless? 3. How do I get my phone to work after bringing it to Q Link Wireless? 4. How do I activate my phone with a Q Link Wireless SIM card? 5. Will I need a new SIM card for my phone if I bring it to Q Link? 6. Where can I find the SIM card number on my iPhone? 7. Where can I find the SIM card number on an Android? Display the SIM number on the screen: Go to Settings > About Phone > Status then scroll down and locate the ICCID number. Eject the SIMcard: Insert a paper clip or a SIM-eject tool into the hole beside the tray and eject the tray then remove the SIM card and locate the SIM number on the card. 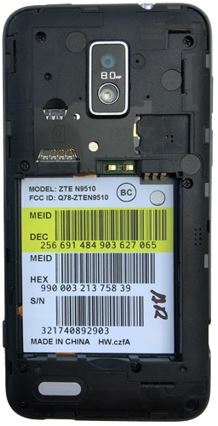 Remove the back cover and the battery then slide out the SIM card and locate the SIM number on the card. 8. Where can I find the IMEI/MEID/ESN number on my iPhone? There are 3 different ways to find your IMEI/MEID/ESN number on your iPhone. Try any of them. Dial *#06# and the IMEI /MEID/ESN will show on the screen. Then view the IMEI number on the tray. 9. Will I get to keep my Q Link phone number if I Bring My Own Phone? 10. What phones will work with the Bring Your Own Phone program? 11. Where can I find the IMEI/MEID/ESN number on my Android phone? 13. What is a SIM Card?